Join the top food and beverage leaders at THE International Concessions and Hospitality Marketplace. 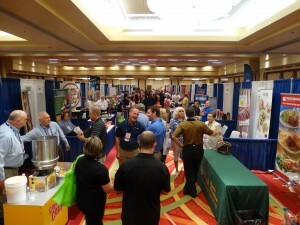 The 2018 Concession & Hospitality Expo was held on August 7-10, 2018 at the Sheraton New Orleans Hotel in New Orleans, Louisiana. Visit often for information on an evolving Agenda, Sponsorships and Trade Show. Links to Photos from 2018 Expo. To review the 2017 Concession & Hospitality Expo CLICK HERE. The National Association of Concessionaires will bring together the top food and beverage concession leaders in the recreation and leisure-time industry at The Concession & Hospitality Expo. The Expo committee is planning terrific educational sessions, great social functions and exciting events. Check back often as the 2018 program comes together. Formerly known as the NAC Annual Convention & Trade Show, the event is an educational conference in its 36th year covering a wide range of concessions and foodservice topics. The business sessions are practical and focused on the concessions industry, and provide interaction between all types of operations. In addition, exciting social functions allow for attendees to network in a less formal setting. Your full convention registration fee includes all educational sessions, food functions, social events, venue tours and the trade show. Make plans now to attend the 2018 Expo in New Oreleans. This is a tentative Schedule for the 2018 Expo. 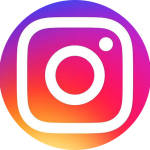 Check back often for additions and updates for 2018. Shelly Olesen , C. Cretors & Company; Krista Schulte, The Coca-Cola Company and Ken Whiting, Whiting’s Food Concessions. has become a breathtaking historical must for all visitors. and fine eating and drinking. 2) Government Relations Update – Gina Di Santo, NAC; Belinda Judson, NATO. over 10 years experience in bourbon education and event design. on the world famous Bourbon Street. 8:00 - 9:00 AM Breakfast Presentation - Stories That Will Keep You Up At Night. Grand Chenier / 5th Floor Panel to feature Brian McMillin, ECM, The Lexington Center Corporation; Dave Guepfer, La Crosse Center and Jon Muscalo, Legends Hospitality Management. Check back often for additions and updates for the 2018 NAC Expo. Author Rafi Kohan has written a humorous and entertaining book about where our sports teams play and why we can’t get enough of them. Enjoy his new book and start thinking about questions you might want to ask him when he addresses the 2018 NAC Concession & Hospitality EXPO in New Orleans on Thursday, August 9 at 9:00 AM. 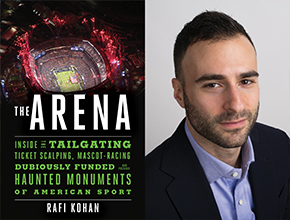 Kohan is the author of The Arena: Inside the Tailgating, Ticket-Scalping, Mascot-Racing, Dubiously Funded, and Possibly Haunted Monuments of American Sport. He has written for GQ, Men’s Journal, Wall Street Journal, Washington Post, L.A. Times, Rolling Stone, Town & Country, and more. Formerly, he served as deputy editor at New York Observer. Currently, he works at The Atlantic as the head of editorial for Re:think, the magazine’s branded content studio. 4) Millennial Marketing – Jacquilyn Davis, Justin Kovitz and Fuze Viewer. Breakfast Presentation – Stories That Will Keep You Up At Night. Panel discussion to feature Brian McMillin, ECM, The Lexington Center Corporation; Dave Guepfer, La Crosse Center and Jon Muscalo, Legends Hospitality Management. Check back often for additions and updates for 2018 NAC Expo. 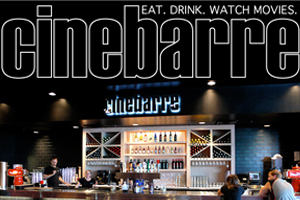 In conjunction with Regal Entertainment the Wednesday morning brunch and screening will take place at the Cinebarre Canal Place 9 just 2 blocks from the the host property for the NAC EXPO. This new EXPO feature will highlight new food and beverage offerings at the cinema as well as an exciting movie screening. 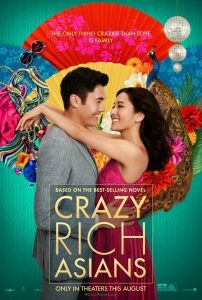 CRAZY RICH ASIANS – NAC is proud to present the internationally acclaimed Warner Bros. production of the bestselling book Crazy Rich Asians a week prior to its US debut. Filmed entirely in Shanghai and Malaysia.Thanks to the support of Regal Entertainment and concession promotion items from RCM Media and Cinema Scene/ Vision Media we look forward to an exciting networking event at the NAC EXPO. FULL EXPO Registration is necessary to attend this event. 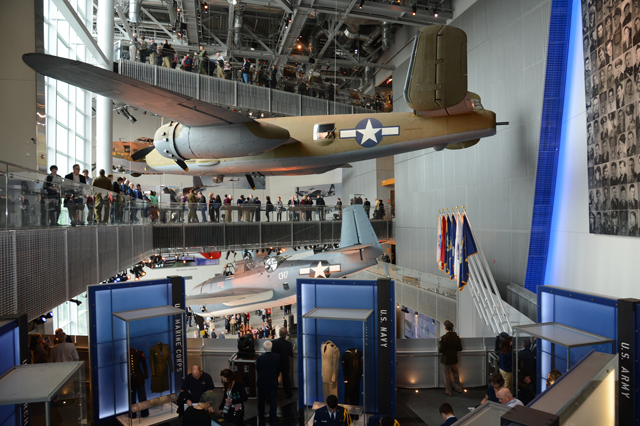 Ranked by TripAdvisor as the #1 Attraction in New Orleans, named by USA Today as the #1 Best Place to Learn U.S. Military History, and designated by Congress as America’s official museum about World War II, The National WWII Museum features a rich collection of artifacts that bring history to life. Discover the most impactful event of the 20th century and the legacy of the greatest generation in thought-provoking exhibits—including our newest exhibit, The Arsenal of Democracy: The Herman and George Brown Salute to the Home Front—and explore the American experience in the war that changed the world. From D-Day galleries to the 4D cinematic experience, Beyond All Boundaries, from the soaring US Freedom Pavilion: The Boeing Center to the groundbreaking Campaigns of Courage, this world-renowned history museum is designed to inspire visitors of all ages in the lessons of World War II and the stories of heroism, tragedy, and liberation. The Brennan Family is synonymous with quality and spectacular food and beverages in New Orleans. NAC EXPO attendees will be able to experience a piece of MARDI GRAS at the Bourbon House on the world famous Bourbon Street. Dickie Brennan’s Bourbon House is all about local seafood. If it’s not in season, you won’t find it on the menu. 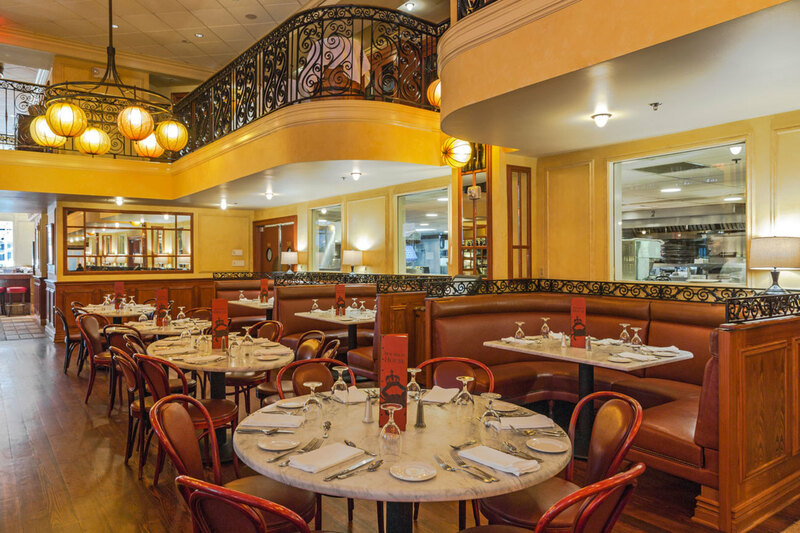 Enjoy authentic New Orleans dishes at New Orleans’ premier oyster bar and seafood restaurant. Bourbon House boasts a lively atmosphere with huge picture windows overlooking Bourbon Street. The dining rooms of this famous French Quarter restaurant are indicative of New Orleans’ European heritage, with handcrafted wrought iron and custom millwork. 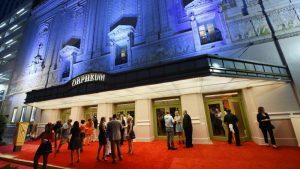 The Orpheum Theatre – The Orpheum Theatre in New Orleans is a beautifully appointed 100 year old masterpiece that was dark for nearly a decade after Katrina. After a $13 million investment, the Orpheum returned to life in August of 2015. The Orpheum’s spacious orchestra, loges, balcony, and gallery offer newly-installed upholstered seats and comfortable accommodation for 1460 guests. The Orpheum easily transforms from an intimate concert venue to corporate meeting and convention space with perfect sight lines from each of its seats. An adjustable orchestra floor and customizable floor seating plan accommodate banquets, weddings, luncheons and receptions. 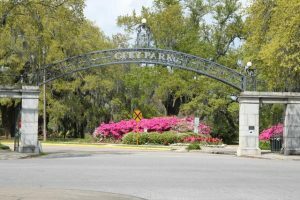 The New Orleans City Park is more than 1,300 acres of green space; it is an Amusement Park, Botanical Gardens, a Golf Course, a miniature Golf Course,2 Football Stadiums, Sculpture Garden and the New Orleans Museum of Art. Join us for a very special tour of a very special place in the city. The Mercedes Benz Superdome is established as a premier destination for every type of event, and the grand structure builds on that legacy continually. From the biggest, most elaborate productions that thrill thousands to memorable intimate gatherings, the Superdome adapts and captivates. Located in the heart of the New Orleans Central Business District, the Superdome is among the most enviable venues in the nation. And with a stunning spot on the New Orleans skyline and its iconic design, the Superdome is one of America’s most recognizable landmarks. If you need to get to the airport, we will bus you there too. The 2018 Expo Trade Show is officially Sold Out! 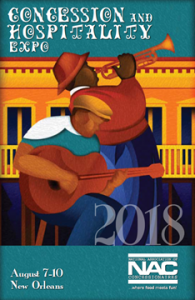 The 2018 Trade Show will be held on Wednesday, August 8 (2:30 p.m. – 5:00 p.m.) and Thursday, August 9 (2:00 p.m. – 4:00 p.m.) at the Sheraton New Orleans Hotel and is open to full and tabletop displays. The 2018 NAC Expo Exhibitor Kit is now online. Download Here. 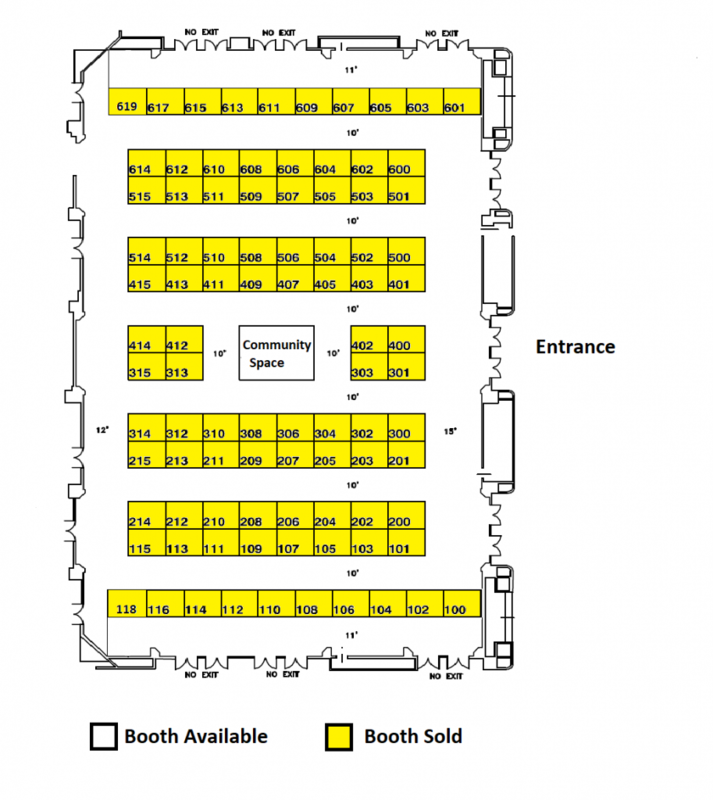 Check to the graphic below for available booths. You can contact Dan Borschke at the NAC office, 312.236.3858, or email dborschke@NAConline.org to reserve your booth! 402 Pepsi 604 Texas Tito’s Inc.
202 Prime Ticket 405 Beecher’s Handmade Cheese 606-608 The J.M. Smucker Co. The 2018 Expo will take place at the Sheraton New Orleans Hotel . 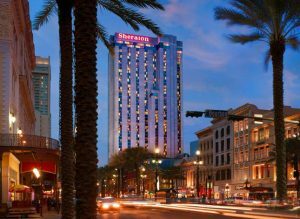 Make your getaway to Sheraton New Orleans Hotel and enjoy the benefits of our perfect location in the heart of the city. Situated in downtown New Orleans, steps from the famed French Quarter, we’re within walking distance of Bourbon Street, the Riverwalk, the Port of New Orleans and much more. Moreover, our hotel’s proximity to the historic Canal Street streetcar line ensures travelers can easily venture out to experience all parts of the city, including the Garden District and Magazine Street. Start your day in the Big Easy with a beignet breakfast at Roux Bistro before exploring the area’s wealth of things to do. While nearby attractions beckon, travelers of all types will appreciate thoughtful hotel amenities like a rooftop pool and sun deck, 105,700 square feet of event space, a Sheraton Fitness Center and a lobby Starbucks®. However you elect to spend your time in New Orleans, we know you’ll look forward to returning home to your spacious guest room to soak up scenic views of this one-of-a-kind city. Apparently NAC members and exhibitors are receiving unsolicited phone calls from companies stating that they can provide you cheaper rooms than we can in New Orleans for The Concession & Hospitality Expo. Please be aware that these individuals and companies are known to scam clients by getting credit card numbers and pertinent information that can be used in nefarious ways. You are receiving the most affordable rate at Sheraton New Orleans while also supporting your association at NAC. DO NOT PROVIDE THESE CALLERS ANY PERSONAL INFORMATION AND PLEASE REPORT THEM TO US AS SOON AS POSSIBLE SO THAT WE CAN PROVIDE THEM A CEASE AND DESIST LETTER ASAP. Seated on dais and recognized as major sponsor at NAC Membership Luncheon on Thursday, July 23.